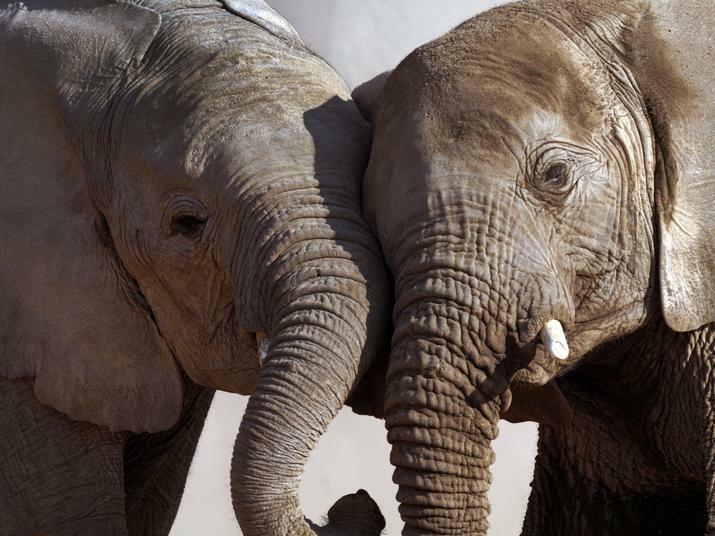 Science writer Ed Yong has an amazing whodunit at The Atlantic on how genetic science can help stop elephant poaching. Smuggled ivory is on the rise. Over 40 tons of ivory are seized each year. Ed's wonderful article focuses on the work of University of Washington biology research professor Samuel Wasser, who with his team figured out that by grinding up samples of tusk and dung for DNA, they could match elephant populations with seized contraband ivory on ships headed to China and other lucrative markets. Organized crime is no match for DNA science, because DNA never lies. To do that, Wasser first needed to find out where the ivory is coming from—and he began with poop. By collecting elephant dung from across Africa, and extracting DNA from them, he and his colleagues created a genetic map of the continent’s pachyderms. By cross-referencing the DNA from an unknown tusk to this map, Wasser can pinpoint the tooth’s source to within 200 miles. In this way, he showed that almost all the ivory that’s been seized in the last decade has come from just two poaching hotspots—one that includes Gabon and the Congo, and another centered in Tanzania. But even with that knowledge, “poachers are very hard to catch,” says Wasser. “They work in very large areas, they know those areas very well, and they sometimes pay off rangers. And if you do catch them, there are ten other poachers waiting to take their place.” So, rather than targeting poachers, he says, it’s far more efficient to go after their customers. To him, these cartels aren’t just the core of the elephant poaching problem, but also its greatest vulnerability.